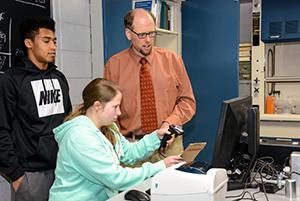 Jeffrey Butikofer, UIU associate professor of chemistry, assists forensic science majors Issiah Dunson of Plainfield, Illinois, and Jessica Baker of Centerville, Iowa, in utilizing the newly purchased PMI Evidence Tracker system at Fayette Campus. Used by many government and law enforcement agencies, the equipment helps track the names of people who handle evidence in criminal cases. It was a shocking crime scene. Glass shattered throughout the classroom. Desks flipped onto their sides. Blood splatter and drug residue spread across the floor and desktops. What happened in the Upper Iowa University’s Colgrove-Walker Hall at Fayette Campus? 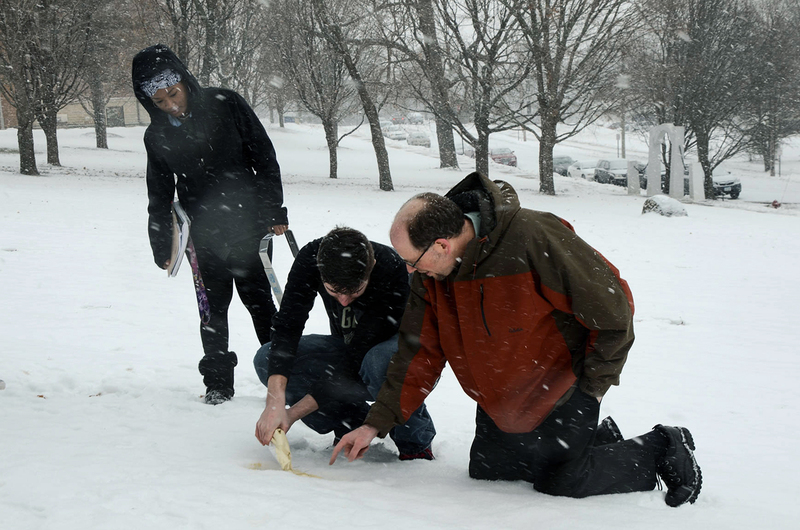 Zory Hamblin of Worthington, Minnesota, watches as fellow UIU forensic science major Quentin Stilley of Glenville, Minnesota, creates a cast of a footprint found at a simulated crime scene at Fayette Campus. Jeffrey Butikofer (kneeling), UIU associate professor of chemistry, recently obtained a Chemistry Collaborations, Workshops and Communities of Scholars Grant to provide his students the same tools and technology they may experience in the workplace. 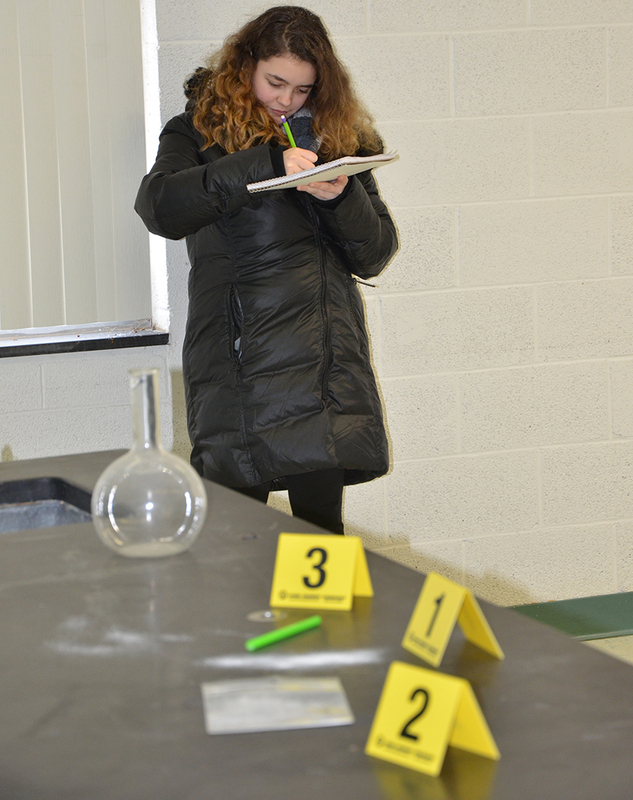 Madelaine Quistgaard, an art and forensic science major, was among the UIU students to investigate a simulated crime scene in Colgrove-Walker Hall, before entering their evidence into a newly purchased PMI Evidence Tracker system.